5 expat blogs for families to follow | Where Is Nikki? Living and working as an expat can be a fantastic opportunity, but if you are relocating with a young family, you may face challenges you had not previously considered. Expat family blogs can help. Travelling long haul with a baby, adjusting to a different climate, homesickness, living without a familiar support network, education and managing finances in a different country are just some of the concerns expat parents may have. White sandy beaches, turquoise sea, my baby and me 😍 If this holidays done anything it’s reinforced the need for me to get a summer carrier! Although reluctant at first, Laura grew to love living abroad. After four and half years in the Middle East, her blog is a fantastic resource if this is where your family may be headed. Post to check out: Expat friendships are what make expat life amazing. What it covers: Adjusting to expat life, expat life in Dubai, expat life in Qatar and travelling with young children. Based in Singapore with two young children, The Expat Mama covers a wide range of topics from dealing with homesickness to children’s education abroad to shopping and baking. One of the most interesting areas of the blog is ‘The Expat Mama meets’, where expats from around the world are interviewed about why they became expats, what they would do differently if they moved again and advice for others moving to their location. It is a treasure trove of reliable information if you are considering a move to an expat destination. Post to check out: The Expat’s Mama meets…. What it covers: Expat family life, homesickness, home-schooling, food and drink, life in Singapore, interviews with other expats around the world. How I wish I was still waking up in the Maldives! Unfortunately it is back to reality for us! What are your plans for the week ahead? This expat blog is written by a family of three, who were based in Qatar up until late 2017. There is a lot of useful content on the site, particularly for those planning to live in the Middle East. This blog also contains some great reviews of equipment for travelling with babies and young children as well as tips for travelling while pregnant and with the new addition to your family. Post to check out: Ramadan in Qatar – your essential guide. What it covers: Luxury family travel, expat life in Qatar, reviews of family travel gear. This blog by Keri Hedrick focuses on travel advice, family life and money matters from an expat perspective. If you are wondering how much moving abroad will cost or the kind of salary to expect as an expat, then this is the blog for you and your family. Post to check out: The Real Cost of Expat Living. What it covers: Expat money, life in Abu Dhabi, global parenting. Merry Christmas from our family to yours!! Hope you all have a wonderful day! Ours started at about midnight when Arthur first attempted to get up…..and then multiple times again through the night (yay 😞) In the end we managed to avoid getting up until 6ish! We headed over to the beach for our annual Christmas day beach trip and pic. Now we are back and Mark is cooking up a storm for a big Christmas feast!!! 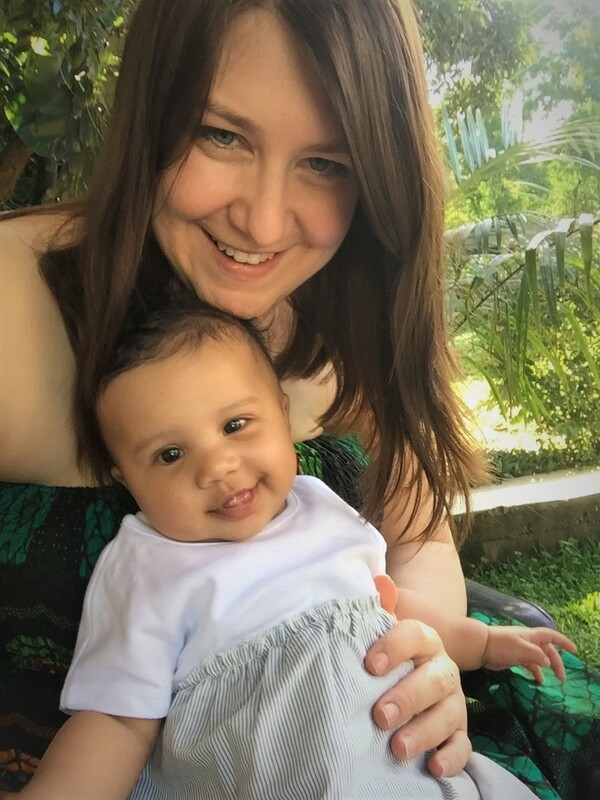 Blogger Chantelle, and her husband Mark, knew from the outset that they wanted to raise their family abroad so made the decision to move to the Seychelles only a month after marrying. They now have two children and Chantelle blogs about life as an expat in this beautiful part of the world. If you are a parent of young children living away from home then this could be the blog for you. Post to check out: How to juggle expat life, family, and the need for sleep. What it covers: Planning to move abroad, expat family life, pregnancy and fitness. I hope these expat blogs will help answer some of the parenting questions you have about raising your children abroad. Ensure you protect your family’s health with Expat Health Insurance. Are you an expat family living abroad? What top tips do you have to share for anyone considering moving their family abroad? **Disclaimer: This is a sponsored post brought to you in collaboration with Allianz Care.